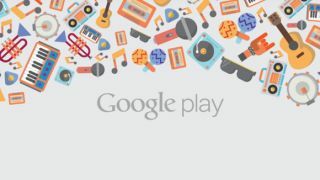 Google's All Access music streaming app lands on the UK Google Play store today. You may remember Google Play Music All Access from such launches as that time it launched at Google I/O back in May as a US-only music streaming service. But it is available in Britain on Android from today, with a free month for all and an early bird deal to boot. The streamer works in a similar way to Spotify - there's a vast library of songs from major labels and indies available to either stream online or cache to your Android phone or tablet so you can listen without an internet connection. You can also sync your music library up to the service - as long as you don't have more than 20,000 songs to store online and then stream to your phones and tablets. Google's also pushing its interactive 'radio stations' that build playlists based around songs you like so that you can discover exciting new bands and artists - at least, that's the plan. If Spotify's engine is anything to go by, this might need some time to "bed in" before it really becomes useful. Announcing the UK launch, Paul Joyce, product manager for Google Play, admits that Play hopes to become "your ultimate digital entertainment destination". If you sign up before August 31, you'll get a month free and then pay £7.99 a month for All Access after that. If you wait until September or beyond, you'll still get a free month but your monthly cost will be £9.99 once that's up. No word on an iOS app for the UK yet - but given that Google said it would land on iOS in the US "in a couple of weeks" back in May and it's yet to arrive, we won't be holding our breath.